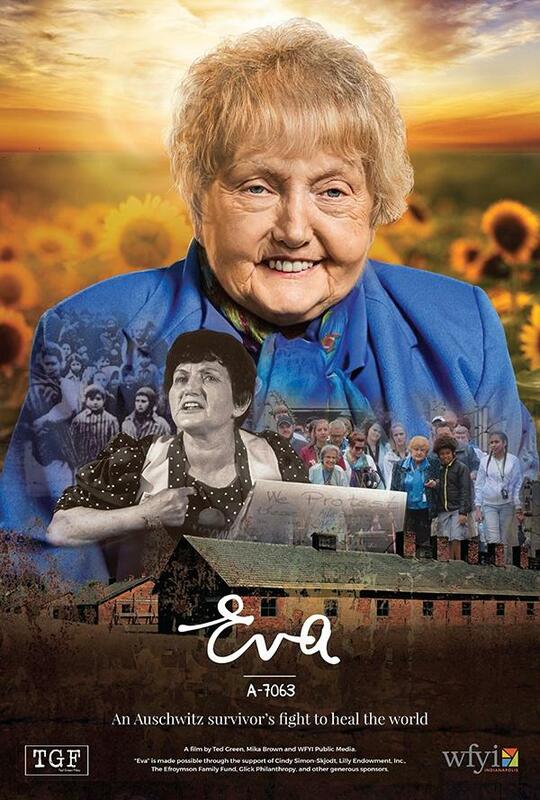 Help spread Eva Kor’s message of hope, healing and humanity by hosting a screening of “Eva: A-7063.” This can be done at your organization, business, synagogue, church, community center, local college, theater or any gathering place. A screening provides a space for learning and discussion. To provide even greater impact for your audience, “Eva: A-7063” Writer/Producer Ted Green and our community engagement team are available to help facilitate Q&A sessions, discussions and educational outreach at an additional cost. Please email Jessica Chapman at jchapman@wfyi.org if interested. Qualifying for a PSL discount: If you represent a nonprofit organization or have other justification for a public screening license at a discounted rate, please email Jessica Chapman at jchapman@wfyi.org for consideration. We consider discounted rates on a case-by-case basis and will respond to your request in as timely a manner as possible, and in the order in which it is received. Thank you.